I have looked at a fare few MEPD requesting deployment. Some of which are no different then what I had posted!. So why did mine get picked out?!? Over presentation when others are no different!!. I had posted pictures/ requirements. What was required. There was nothing wrong with mine!!. I may be missing the point here, but it looks like you haven't had basic approval as a sandtrooper yet, so you can't be "deployed" (level 2 approval as a PO). If you've been knocked back from basic approval, you need to take it up with your Garrison GML. Have they given you feedback on why you were knocked back? Maybe post some pics on here and you can given some guidance, but it's your GML that approves entry level submissions. Can't find your request for PO, can you link it please? By presentation, what was meant was yours was missing was certain photos requested by the DO. These are all pretty standard in applications, it was just a request so your application could move forward, it has nothing to do with photo quality or how it was presented. The DOs frequently ask applicants for more photos so they can see what they need to see. Its not an attack on you, just the application process. Exactly, and I don't understand why you are bringing it up here again! Hey dude, keep cool, make this few pictures and all will be fine. I think i kind of have some idea what's going on. I did comment on his PO post before. I suggest TD2190 to make peace with the deployment officers here first and foremost. They (Deployment Officers) do not do this for a living. In reviewing, when they receive PO / SWAT applications which are not as guide-lined, this waste both the DO's time & applicants'. So, read the PO guidelines properly, go one by one, line by line, with clear background, proper camera angles, & in high res as required. Also, get your 501st clearance first step, 2nd is PO, then SWAT. Commenting/ rather "criticizing" unnecessarily in people's threads doesn't help really. post deleted in light of John's info just below. 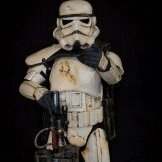 TD2190 is a Legion member approved by the UKG, but he has not requested 501st access or Sandtrooper access yet. Just to clear that up. 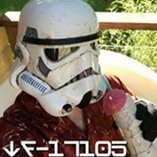 He is perfectly eligible to apply for PO (granted he places his 501st forum access soon). 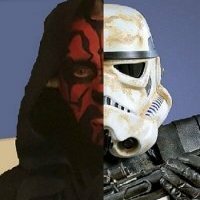 All the DOs are asking for is updated photos of certain pieces of the armor. Once he does that and re-opens his application the approval process can proceed. Its all in his court right now! Well said and we'll see what path he'll decide to go. We are here to help him just as long as he accepts our guidance into the dirty world of the police officer or SWAT officer.